All other gods are false, anemic, and dim. Only El Shaddai the Lord God Almighty, Yahweh God of the Covenant, deserves our praise. 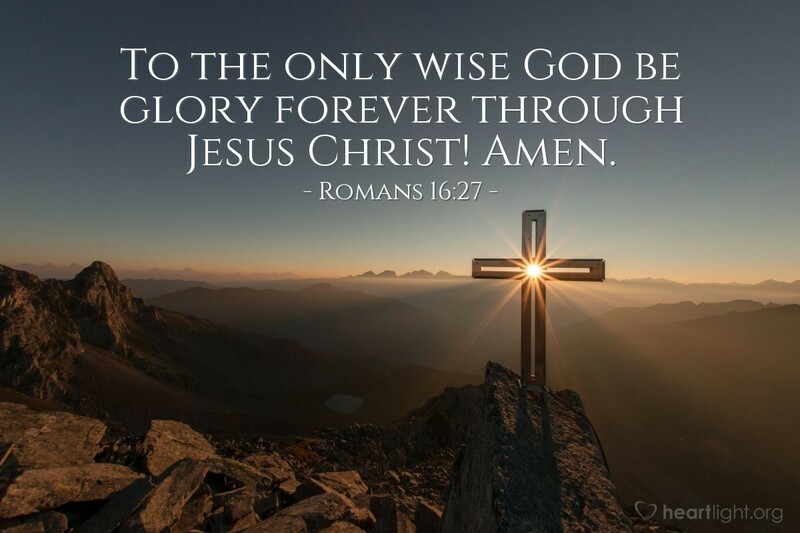 We praise him for his gift of Jesus to atone for our sins, his gift of mercy to perfect our failings, his gift of patience to help us straighten out our inconsistencies, and ultimately, his gift of love to provide our salvation. Only True and Living God, may your glory shine forever in the lives and faithfulness of your people. May your praises always be on my lips and in my heart. May people see your love for them in Christ Jesus, both now, and forevermore. In the name of Jesus I praise and proclaim your glorious majesty. Amen.